la [min-ya-'net]: Crunchy like cereal! These past couple of weeks I've been in an oatmeal/beige/café au lait kind of phase. I feel like I belong in a cereal bowl along with muesli and weetabix! 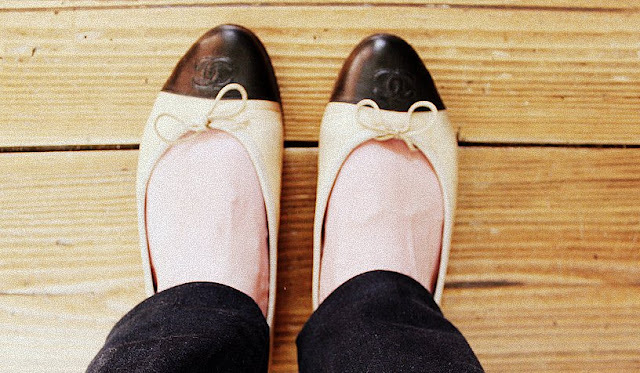 These vintage Chanel shoes were my latest purchase, I just think they are the epytome of chic right now! I purchased them at a vintage haute couture trader at the Boulevard Saint-Marcel and they were surprisingly unexpensive. Lately, I've been obssessing a bit about jewelry made of "fools gold" stones (like pyrite, etc). 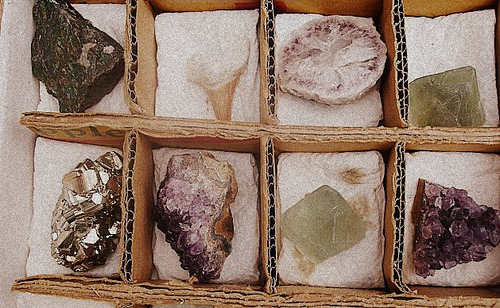 The past weekend at the flea market I took this photo of some cool stones that were there for sale. Os sapatos são lindos. Muito bonitos mesmo. 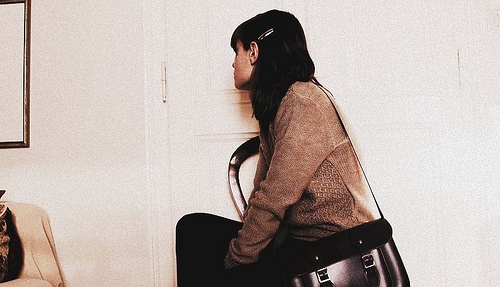 Aliás, todo o teu outfit é.
I just discovered your blog and I think it is absolutely fabulous. 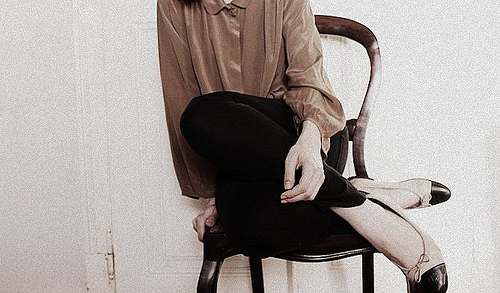 Beautiful flats...Just discovered your blog & really love it! Oh, did they have a lot of them? I've been looking for vintage Chanel flats in Paris, without luck..
Those shoes are really something else, great find! I just discovered your blog and it is truly special. I love your photos; I wish my life looked like your pictures! I love everything, really, you really got an excellent taste in clothing! those shoes are so cute! i've been lookiing for shoes like them for awhile! Sissy: Thanks by stopping by! Glad you like it! Ashley: Thank you so much for your comment! Love your jeans - they are such a great fit on you. And I will be definitely checking out that vintage shop. Thanks for the tip. oh enjoy those flats - i have some, and they are amazing.. the quality of the leather is so high and they are the most comfortable shoes i own. wonderful. those shoes are wonderful ! Perfect outfit, and I'm utterly obsessed with your Chanel flats!! Great outfit! And awesome photo of those stones. My current favourite is amethyst. I love the variety of colours that can occur in a single chunk. love your outfit! your blog is new to me. cant wait to check your back log. happy tuesday. I have kind of been obsessing over this outfit since I bookmarked it a couple weeks ago. Pretty much the epitome of fabulous casual. The outfit is really nice!